As he sits at his desk, Jim also takes stock of his upcoming schedule. Hectic travel is of course not new to him: early in 1961 he competed in three New Zealand internationals before embarking on his European season – and he had finished that year, and begun 1962, with four South African races, an outing at Daytona in a Lotus Elite and then a one-off race in a Lotus 21 in Sandown Park, Australia. What now lay ahead, however, takes him into new territory. Following Saturday’s Aintree 200, Jim and Colin will fly immediately back to Indy via Chicago (Jim’s third trip to the States since January). There they will continue to run the Lotus 29s at the Speedway before returning on May 7, with Dan Gurney now joining the group, to race at Silverstone in the Daily Express Trophy meeting. Then it will be back to Indy again, this time for qualifying, before flying back for the Monaco and European GP on May 26. (Assuming Jim qualifies on the first weekend, that is: if rain intervenes, or they run into problems, Jim would then have to miss Monaco in order to qualify at Indy on the second weekend.) Following Monaco, he, Dan and Colin will then fly back to Indy for the race the following Thursday (Memorial Day). Jim will then drive to Mosport to race in the Players 200 two days later, catch a Toronto flight to London that night and race at Crystal Palace, in the Normand Lotus 23B, on June 3 (Whitmonday). Nor will there be a break after that, for the Belgian GP at Spa is scheduled for the weekend of June 7-8-9. Jim takes all of this merely as part of his job. Comets and Boeing 707s make flying more fun than it had been in the turbo-prop days – and economy seats are relatively wide and relatively long. You can actually sleep on a trans-Atlantic flight – and the immediate necessity to have to drive a racing car does away with jet lag. Beyond that, Jim’s parents had never wanted him to race. Now, with this sort of schedule, and with reasonable chances ahead of him for some good results, he can at least justify racing as a profession from which he can earn a living. Aintree is bathed in sunshine on Friday, April 26 – and Jim, running the Lucas fuel-injected Lotus 25, feels as good in the car as he had at Pau and Imola. Compared with the carburettored 25 of 1962, the fuel-injected 25 provides a more useable power band, particularly at low revs. The new short-stroke Climax engine can also be revved higher, additionally enhancing torque and power. The biggest talking-point in the Team Lotus truck is actually of the ZF gearbox and the ongoing problem of the thing jumping out of gear (a subject Colin Chapman prefers his drivers not to mention to the press!). The root cause of the issue is that the ZF was basically a four-speed gearbox adapted to take an extra cog. The welds, reduced to a minimum, habitually came away from the spline.Trevor Taylor’s car occasionally runs a strong, heavier Colotti five-speed gearbox but Chapman does not want to compromise weight on the number one Clark car. He continues to work away with pencil drawings whenever he has a spare moment but an ultimate fix will not achieved until new ZF gearboxes, with the selector mechanism on the side of the gearbox, are fitted for 1964. For now, Jim spends so much time wondering if the 25 is going to jump out of top that he begins to develop a one-handed driving style, steering with the left hand and holding the car in gear with his right. Jim also has reservations about the new Dunlop R6s. He hadn’t liked them at Snetterton, where the 25 had felt more skittish than at any time in its life – and he had used last year’s R5s (based on the older D9 and D12 tyres) at Pau and Imola. He would do so again at Aintree but Dunlop are keen to try a new version of the R6 at Silverstone in two weeks’ time. (Talking about Snetterton, Jim is a little surprised to see Denis “Jenks” Jenkinson write in the latest edition of Motor Sport that Graham Hill had won in the wet there because “Jim Clark was out of practice, Hill having raced in Australia and New Zealand over the winter.” So Jim’s endless testing of the Lotus 29 hadn’t counted? 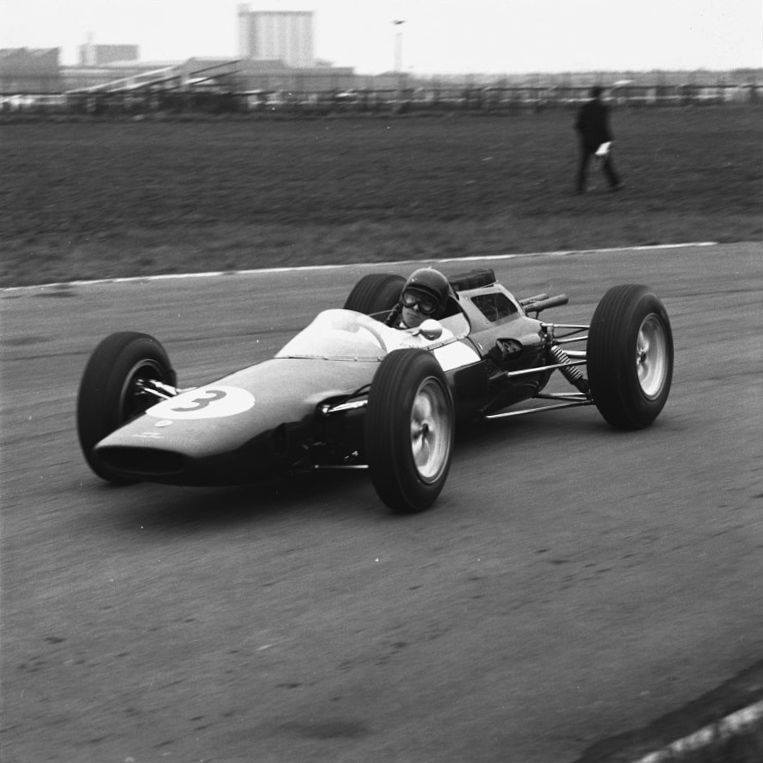 Jim is easily fastest on Aintree Friday, loving the circuit on which he had won the British GP in 1962 – and the 1962 Aintree 200 (in the Lotus 24: he had also been quick in the wet at Aintree in 1961, before the Lotus 21 blew an oil pipe.). Strangely, though, he looks unfamiliar in the Lotus 25 on Friday, wearing, as he is, the older, 1961-spec, smaller-eyepiece, goggles he’d last worn at Zandvoort in 1962. For race day, Jim switches to his customary wide-lens Panoramas (with black tape across the top-third of the lens). Still he wears his trusty, stone-nicked dark blue, peakless Everoak. 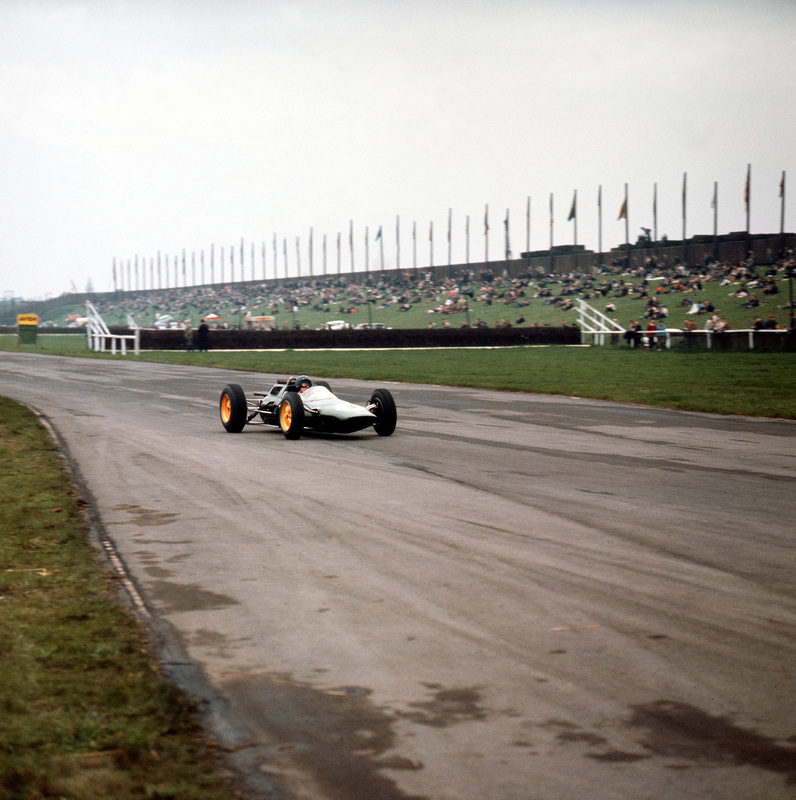 Graham Hill, who at Aintree is still in his 1962-spec BRM, is 0.8 sec quicker than he’d been the previous July – but slower than Innes Ireland, who is very fast in the Goodwood-winning BRP Lotus 24-BRM. Ireland qualifies third, Hill fourth and Ritchie Ginther fifth, equaling his team-leader’s time in the second BRM. Trevor, again in gearbox trouble, will start from the inside of the third row in the carburettored Lotus 25. 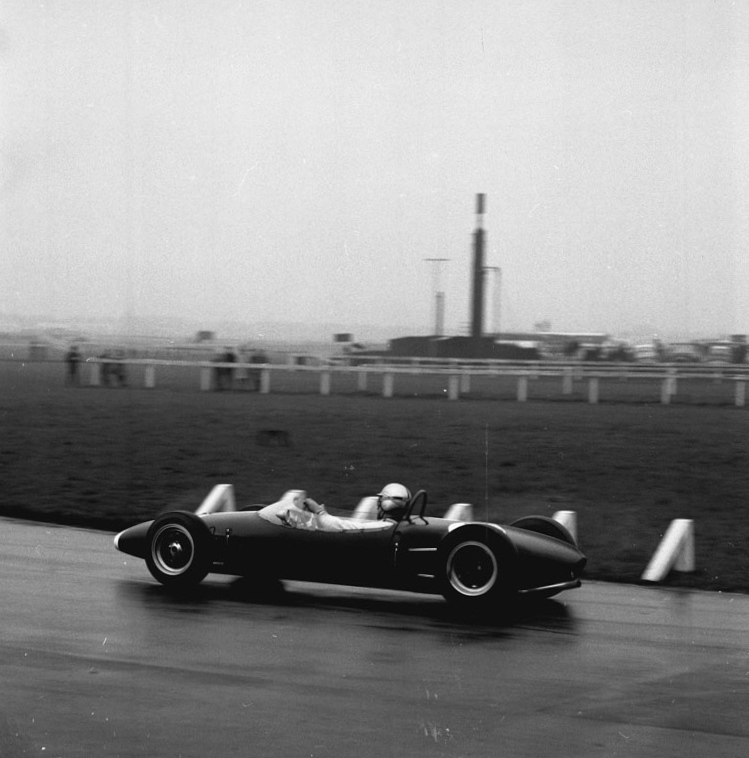 What should have been a Clark walkover under leaden skies on Saturday turns out to be one of the best races of the 1963 season. The record crowd at the famous Grand National venue can hardly believe it when Jim Clark’s hand goes up at the start and the field swarms around him. With the 25’s battery completely flat, Jim is totally helpless. Ted Woodley and the boys push the car over to the pits, fit a new battery – and the car starts perfectly. Jim leaves the pits even as the field is well into its second lap. Clark drives brilliantly in these early stages but clearly the car still isn’t right. A fuel-injection-related mis-fire comes and goes. Trevor, meanwhile, is running fifth and looking good. It is a beautifully-orchestrated manoeuvre. Jim comes in first and is ready, waiting, as Trevor screams to a halt. Out jumps Trevor and quickly Ted Woodley swaps seats. In slides Jim. He has the rear Dunlops alight before Ted is even clear of the car. So Jim Clark is now in Lotus 25 Number 4 and Trevor in Lotus 25 Number 3. Out in front, Ritchie Ginther gives best to Graham after taking an early lead; Innes is third, followed by Bruce McLaren in the new 1963 Cooper 66-Climax. Jim Clark then produces a supreme display of class driving, perfectly-balancing the carburettored 25 through Aintree’s medium-speed corners, blipping the throttle on the slow ones to keep the revs in the useable band. He works his way back to an eventual third place. His lap times are consistent to within tenths; his fastest lap – a staggering 1min 51.8sec – is 0.6 quicker than his pole time and a full 1.8sec quicker than his pole lap at the British GP in ’62. This in a car with the 1962-spec, 175bhp engine. 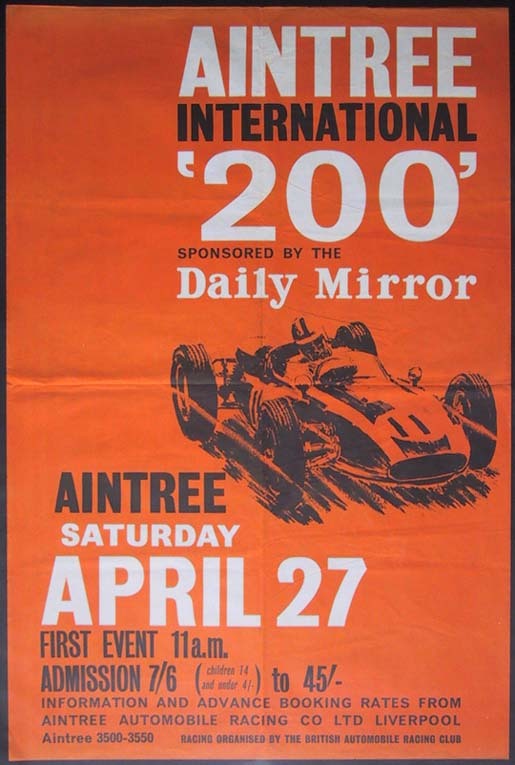 Graham Hill wins Aintree (from Innes Ireland, Jim/Trevor, Ritchie, Bruce, Chris Amon in the Reg Parnell Lola and Trevor/Jim) – wins his second F1 race since clinching the championship only four months before; and Graham wins the Saloon Car race, too, again heading the Jaguar 3.8 battle featuring Roy Salvadori and Mike Salmon. 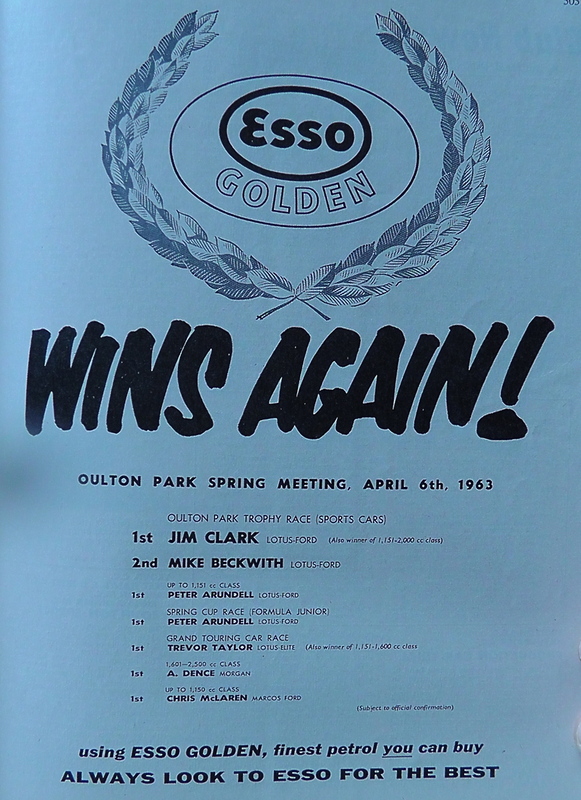 Jack Sears wins his class in a Ford Cortina GT; Sir John Whitmore wins the Mini division; Roy Salvadori leads home Innes Ireland in the big sports car event (Cooper Monaco, Lotus 19); our friend Mike Beckwith wins his class with the 1600 Normand Lotus 23B; Pete Arundell and Paul Hawkins head the 1100 Lotus 23 class; and Denny Hulme, a new rising star from New Zealand, brilliantly wins a wet Formula Junior race in the new Brabham (from Frank Gardner, Pete Arundell and Mike Spence). 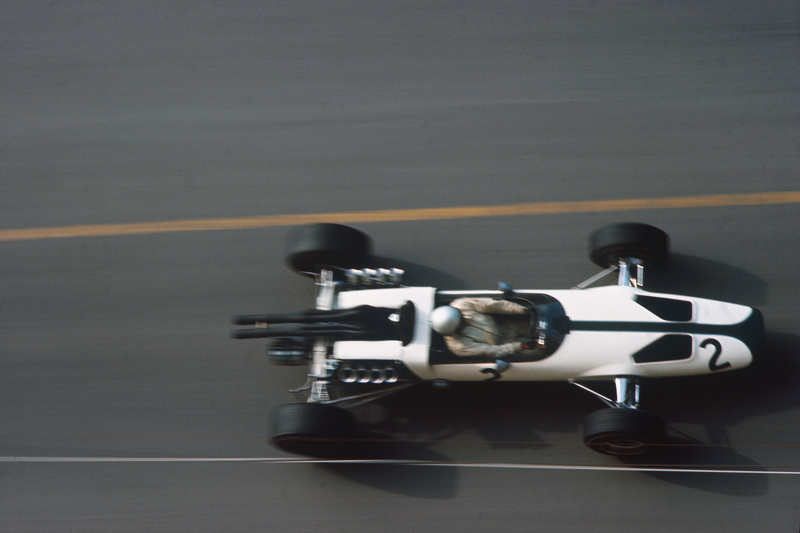 With no vested interest other than as a guy who loves motor racing, Bruce McLaren has this to say about Denny’s win: “For a driver who professes not to be particularly good in the wet, I thought fellow-New Zealander, Denny Hulme’s win in the works Brabham FJ was very good. For a couple of years he ran his own FJ Cooper as a privateer with very little outside assistance, and he did much better than anyone expected. He is now being trained in the Brabham tradition by building, working on, and developing his own car. He works in the Brabham racing shop under Jack’s watchful eye and his fine drive in the rain at Aintree was the result – his first really big win for some time, and a most convincing one at that.” No surprise, really, that Bruce would sign Denny to his McLaren F1 team some five years later. Note: driver-swapping would continue through to 1964, when Jim took over Mike Spence’s Lotus 33 at the US Grand Prix at Watkins Glen. I guess, after the flak they have received in recent weeks, that it is no surprise to see Pirelli making a compound change at this point of the season and at this point in the build-up to the Spanish GP. I’m surprised, though, that the change involved their orange (hard) tyre and not the much-maligned (yellow) (“one-lap”) soft tyre that will next be seen in Monaco. Pirellis’ official statement says that “this latest version of the hard compound is much closer to the 2012 tyre, with the aim of giving the teams more opportunity to run a wider range of strategies in combination with the other compounds, which remain unchanged”. As far as I understand it, the main change from 2012-13 was not actually to the stickiness of the hard tyre but to its operational range – ie, the working range was “lower” last year – “lower” as in a lower temperature window of operation. The 2013 hard tyre, with a “higher” working range, has been more prone to graining and wear “below” the window – and it is this problem that Pirelli are endeavoring to fix. On the basis of Bahrain, one could conclude that this change isn’t necessarily good for LotusF1 (which found its way nicely into the hard tyre’s high working range without any graining issues) and also for Force India. For Mercedes and Ferrari, meanwhile, this latest change might be an improvement. There’s now more chance, in summary, for more teams to find some sort of sweet spot on the hard tyre (which is being used in conjunction with the medium in Spain) than was the case in Bahrain. (In both races, the compound selection was/is hard-medium). The soft tyre, meanwhile, remains unchanged – which, as I say, is a surprise. That tyre will be used at Monaco (in conjunction with the supersoft) so the outcome there is anyone’s guess. One presumes that the soft around the streets of Monaco will assume the role of at least the medium, if not the hard – and that the supersoft could be the equivalent of the soft in China. All of which means that there should be plenty of pit stops in the over-crowded Monaco pit lane (if that is what you want) and that qualifying at Monaco – already knife-edgy because of the nature of the circuit and the problems posed by traffic – will have the added element of one-lap tyre perfection. Don’t be surprised, therefore, to see several drivers using the prime tyre in Q3 at Monaco – as Sebastian Vettel did in 2012. And so Jim Clark’s 1963 season begins to gather pace: after a further few days at Edington Mains, Jim set off for his two-week trip to Southern France and then Italy. Ian Scott-Watson drove him in the factory prototype Lotus-Cortina to Edinburgh airport, where Jim flew first to London – in a turbo-prop BEA Vickers Vanguard – and then on to Pau. 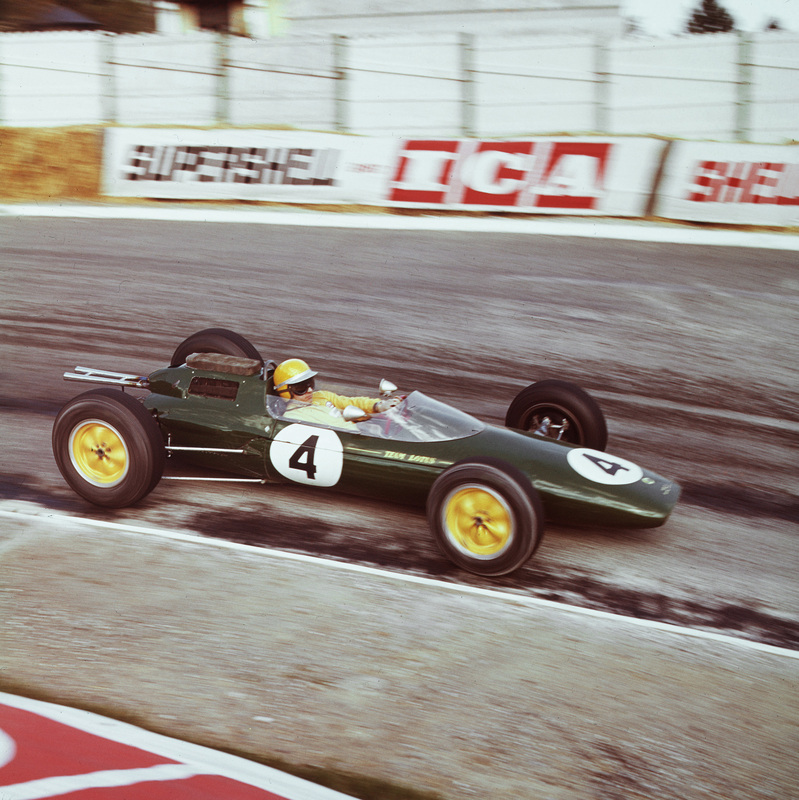 Jim (in the Lotus 25 he had last raced in South Africa, at the end of 1962) nonetheless took an easy pole after two days of practice. Such was the potential danger of the stones, though, that he fixed masking tape over his nose and upper lip for the race. He again wore his trusty Everoak; his Panorama goggles were fitted with dark lenses for his exploits in the golden spring sunshine. Trevor Taylor, Jim’s team-mate (in the 25 Jim had raced at Snetterton) actually led away from the line but – as great team-mates do – he backed-off before the first, fast right-hander to give the lead to Jim. Jim responded – then slowed down a little for Trevor. And so it went on. 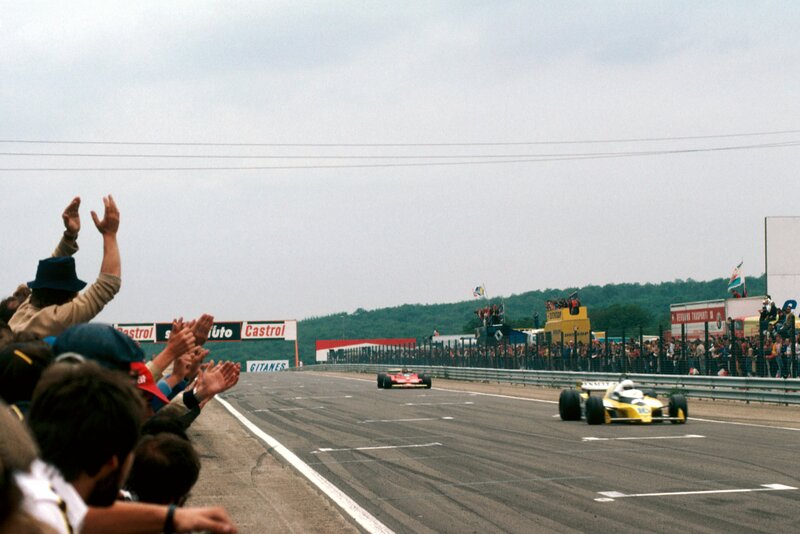 The crowd drank their wine, ate their baguettes, took their naps – but always, when they raised their heads to watch the leaders, there were Jim and Trevor, having fun, swapping places and demonstrating their skill amidst the rubble and the marbles and the frequently-waved yellow flags. Who would win? Trevor (right) was happy to cross the line right behind his team-mate. Colin Chapman would be impressed – and Trevor was keen to consolidate his position as a perfect complement to Clark’s genius. They’d raced this way in the Springbok series of 1961 – and Trevor had already scored a strong second place for Team Lotus in the Lotus 24 (1962 Dutch GP). Now, with the 25s heading for more wins in 1963, Trevor wanted solidly to be a part of that. For his part, Jim thought it much fairer to cross the line in a dead-heat finish. Showpiece endings like this weren’t that difficult to organize in the 1960s (timing was down only to a tenth of a second), and even four years later (at Syracuse, in 1967, when the timing was a little more sophisticated) the feat would be pulled off by Ferrari. 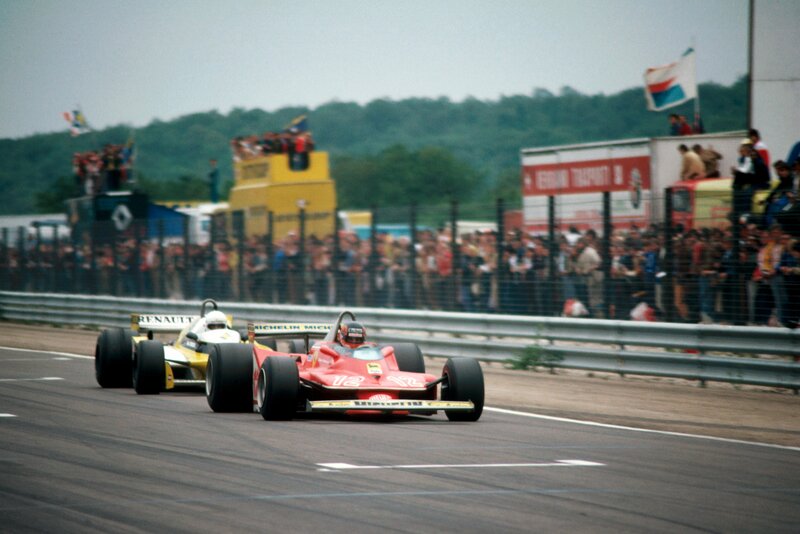 On this occasion, though, Trevor dabbed the brakes just before the line, foiling Jim in a neat reversal of what would see years later at Imola, 1982, and Malaysia, 2013: Trevor wanted the win to go to Clark, despite Jim’s best efforts to share it. As light as the opposition had been, Jim and Trevor were nonetheless exhausted after their torrid day’s work. Over dinner, as plans were made for the drive down to Italy for the following Sunday’s Grand Prix of Imola, a radio crackled out some of the latest hits from England and America – “Big Girls don’t Cry” and the Beatles’ new single, “Please Please Me”. 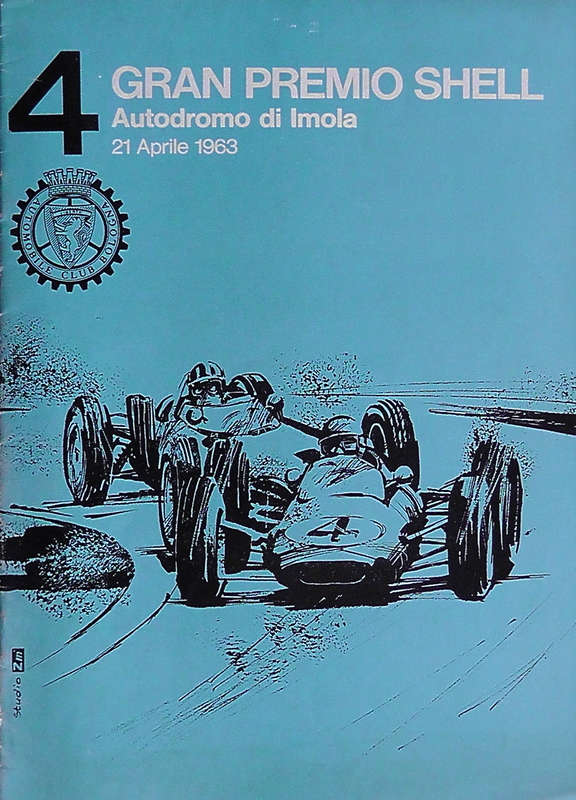 Then, after phone calls back home, they discussed the news of the day: Innes Ireland had won at Goodwood in front of 50,000 spectators in the BRP, from Bruce McLaren in the works Cooper and Tony Maggs’ Parnell Lotus 24 – but not before Graham Hill (’62 BRM) and Jack Brabham (’62 Brabham) had both run into mechanical dramas (fuel and ignition respectively). The Formula Junior race went to Frank Gardner and Denny Hulme (Brabhams), from Richard Attwood’s MRP Lola; Graham Hill made up for his BRM disappointment by winning the Jag 3.8 battle for the St Mary’s Trophy from Roy Salvadori and Mike Salmon; Jack Sears had been quick in the new Ford Cortina GT; Sir John Whitmore and Christabel Carlisle led the Mini division; Graham Hill also won the Sussex Trophy GT race with John Coombs Jag E-Type; and Roy Salvadori won the sports car race – the Lavant Cup – with his Cooper Monaco. Normand Racing had been right up there in the wet, with Tony Hegbourne driving Jim’s Oulton Lotus 23B alongside Mike Beckwith. The pair had eventually finished second and fourth (despite spins!). Jim Clark paid a quick visit to the farm at Edington Mains after Snetterton – with emphasis on the quick. 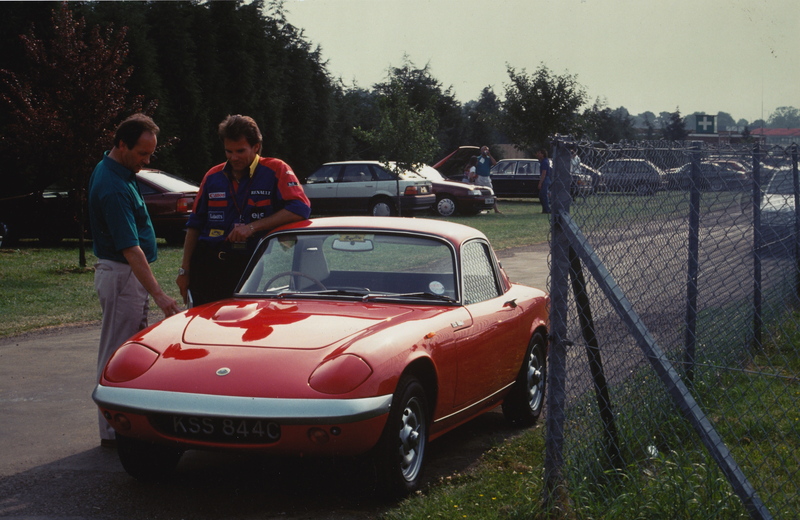 His new Lotus Elan S1 loved the empty roads – particularly as Tom Fraser’s 70mph speed limit was still two years away. Next on the agenda once the farm’s admin had been completed: his first outing in a new Lotus 23B prepared and raced by Normand Motors. Easy to say, to write. The reality is that Normand Motors had come into being only a year before, when an aspiring young racing driver named Mike Beckwith had timidly asked his boss if he’d like to buy a racing car. Stan Hepworth, the debonair Managing Director of Normand Motors (sited at the junction of Goldhawk Road and King Street, Chiswick, London – not far from the mews garage occupied by Tony Settember’s Scirocco F1 team) looked long and hard at his motor racing-mad showroom salesman before saying that he’d think about it. The rest of the story you can hear from Mike Beckwith’s own words in the adjoining video. Transporters, trailers and road cars were parked at random on the Oulton Park paddock grass. The focal point was Geoff Murdoch’s Esso caravan, where hot tea and biscuits were in constant supply. Jim was competing only in the main race of the day at this BARC-organized Spring meeting – the 37-lap (100-mile) British Empire Trophy race for sports cars – but plenty of his mates were there in the support races, including Trevor Taylor (Lotus Elite), Graham Hill (Jaguar 3.8), Jack Sears (Ford Cortina GT), Sir John Whitmore and Christabel Carlisle (Austin Coopers), Peter Arundell (Lotus 27 and 1.1 litre Lotus 23), David Hobbs (having only his second FJ race in an FJ Lola), Paul Hawkins (FJ Brabham) and Richard Attwood (FJ Lola). In his event, Jim was up against his nemesis, Innes Ireland. Innes still harboured resentment after being dropped from the Lotus F1 team at the end of 1961 and his relationship with Jim was still frosty. On paper, moreover, Innes was going to be virtually impossible to beat, his 2.5 litre Lotus 19 Monte-Carlo being both well-sorted and substantially quicker in a straight line. A number of 23s were also entered (Mike Beckwith’s, of course, plus those of future Brabham team manager, Keith Greene, Rodney Bloor, Alan Rees, who would go on to form March and Arrows, Chris Williams, and Julian Sutton), plus Roy Salvadori’s rapid Cooper Monaco, the Elva of Bill Moss and Frank Gardner’s beautiful (factory) Brabham BT8. Although Friday, April 5, 1963 was, as I say, about as cold as it would be on Friday, April 5, 2013, Saturday, race day, was altogether better. Innes used the 19’s Climax power to out-accelerate Jim into Old Hall and thereafter gradually pulled away at about 0.7 sec per lap. 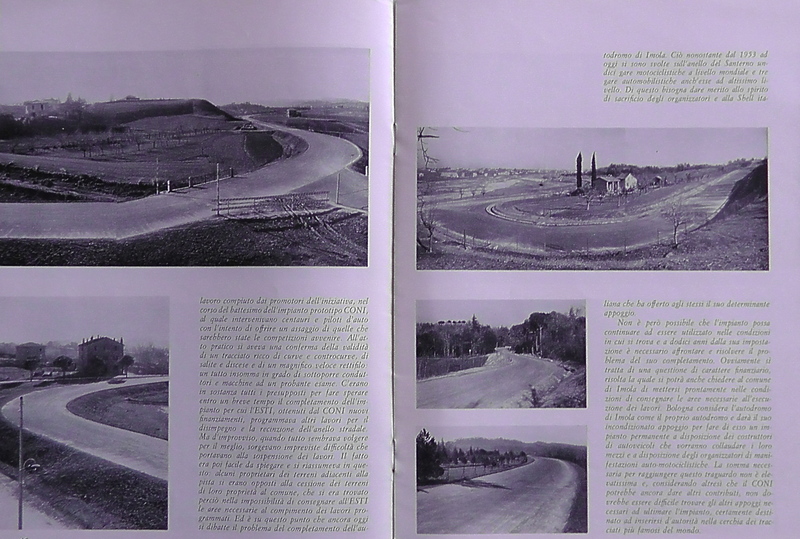 Salvadori was an early retirement and so Jim quickly established himself in a comfortable second place – comfortable in the sense that no-one behind him was able to give him any serious trouble. For Jim, it was a delight to be back in a 23 again – to finish some “unfinished” business. 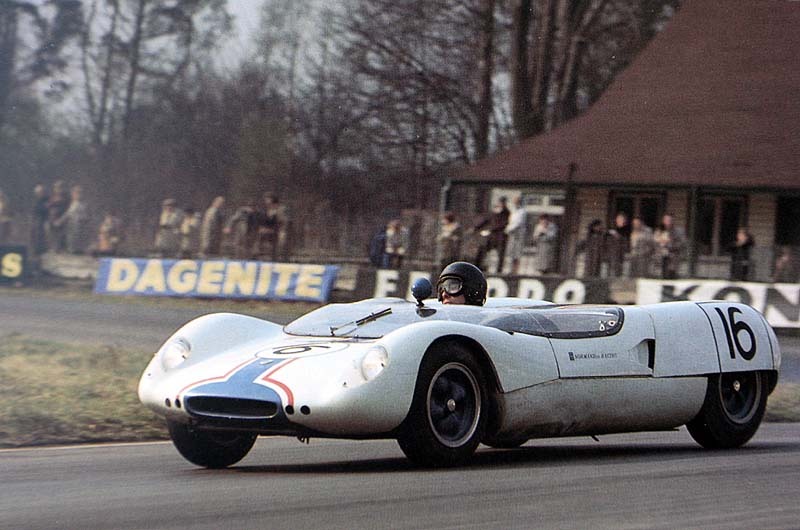 He had led the 1962 Nurburbring 1000km in an Essex Racing 23 only to end up in a ditch when a leaking exhaust manifold made him sick; he had run into clutch trouble at Brands with the same car in the 1962 Guards Trophy; and he had been disqualified for receiving a push-start at Snetterton in late September, 1962, after carving his way through from the back of the grid to “win” with the 23. This new 23B was a beautiful refinement of last year’s car. There was more power, obviously – but the chassis was stiffer, too. Around Oulton, it fitted like a glove. Innes pulled into the pits with gearbox trouble after eight laps. Jim was left in an unassailable lead. The Normand 23s thereafter ran perfectly, and looked glorious as Jim and Mike drifted them around the undulations of Oulton Park for about an hour or so. Jim won first-time-out with the team – and headed a Normand one-two. 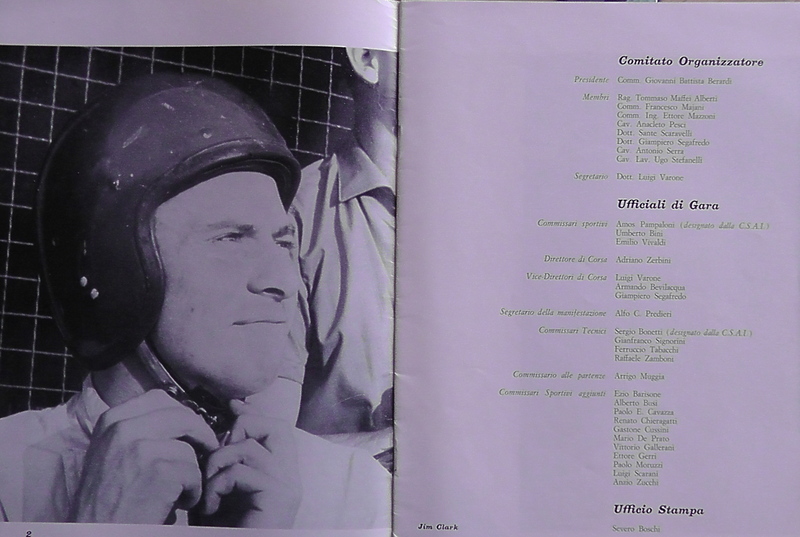 In itself, it was another Classic Clark performance in a well-prepared Lotus racing car; out of context, it was as if Lewis Hamilton or Sebastian Vettel had quietly decided to drive for a brand new team in the Blancpain Championship…and had won with conviction, but with only minor interest from the national media (and only brief coverage on BBC TV). 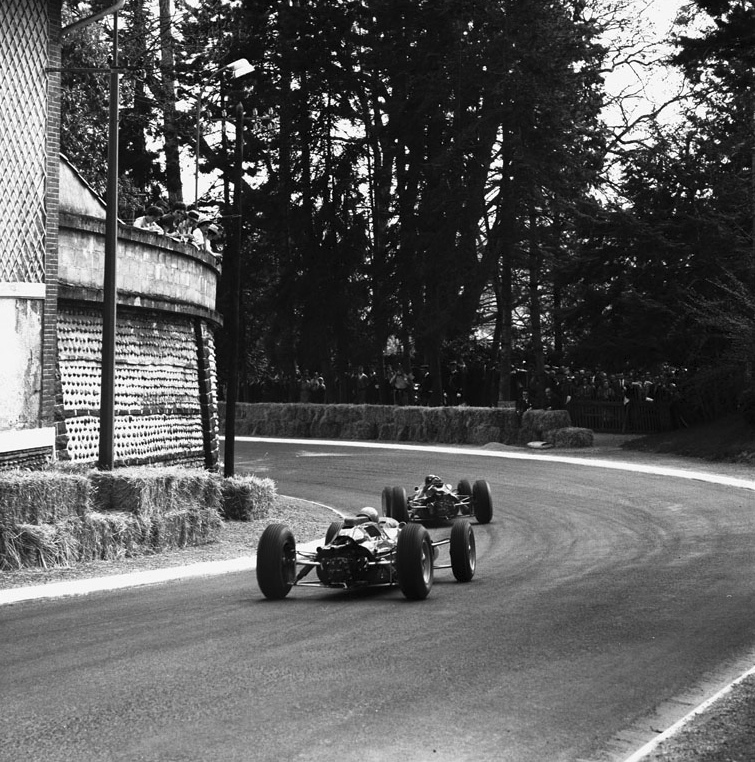 After Oulton, Jim for most of the winter had been planning to race the following (Easter) Monday at Goodwood, in the 42-lap international 100-mile Glover Trophy F1 race. Just before Oulton, though, Andrew Ferguson rang to say that much more prize money would be at stake if Team Lotus instead raced the 25s first at Pau and then, just six days later, at Imola. 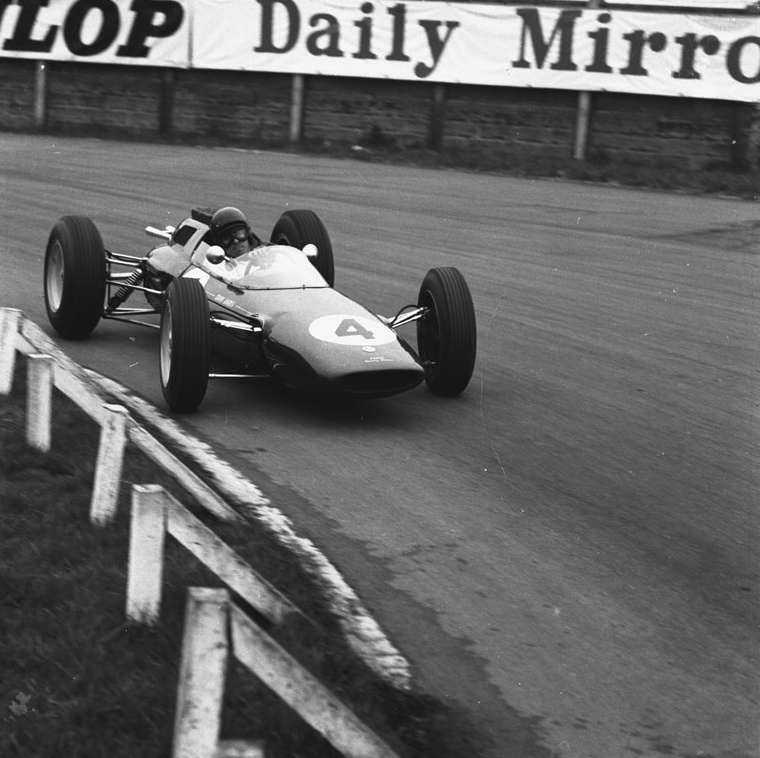 Having raced R3 at Snetterton, Jim would now be back in Lotus 25/R5, the car with which he would have won the 1962 South African GP (and, thus, the 1962 World Championship) but for an oil leak. Trevor Taylor would be racing R3 – but of other major opposition there was no sign. No matter. 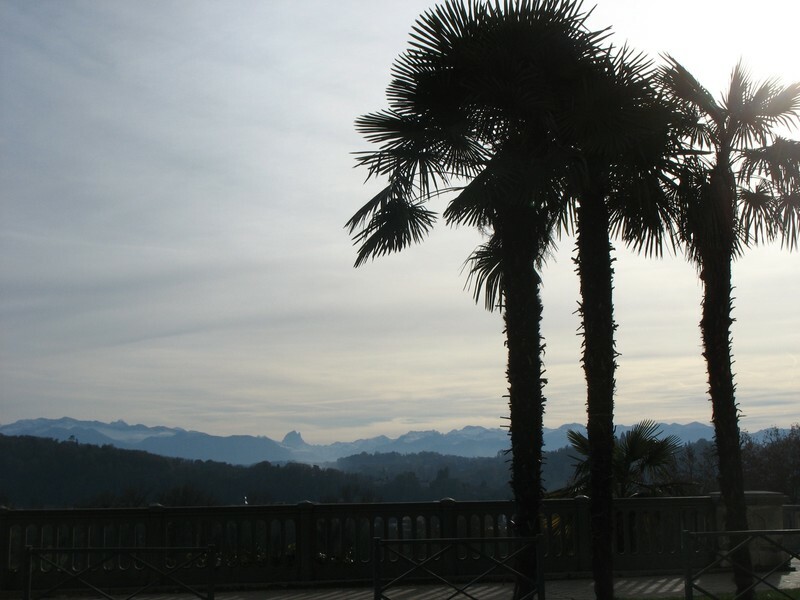 After another short spell on the farm, Jim would leave on Friday, April 12, for the lovely old town of Pau in the foothills of the Pyrenees. 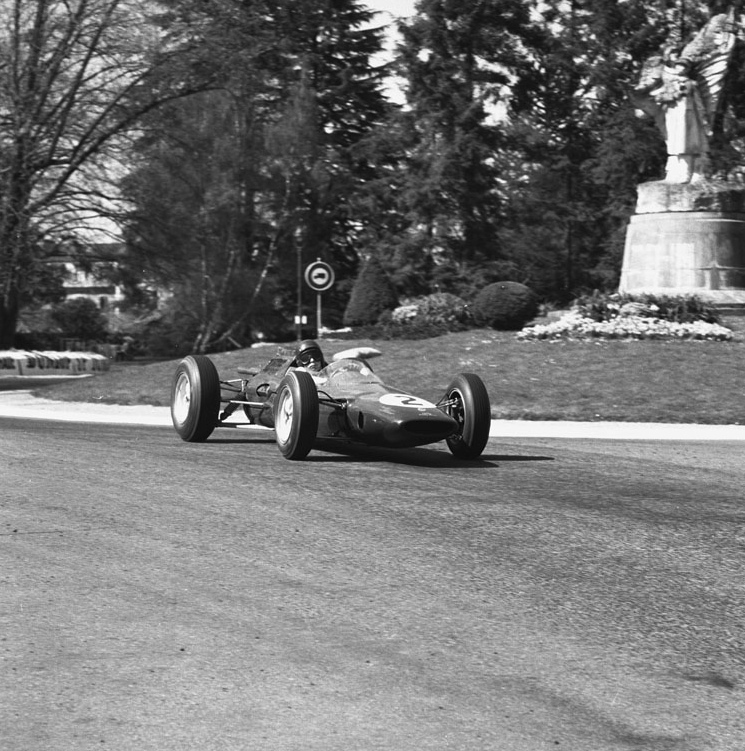 Jim had scored his first F1 win there in 1961 and had been quick there in 1962 before the gearbox went on the Lotus 24. He loved its Monaco-like demands. Now, in the 25, it would be more fun still. Mike Beckwith doesn’t remember any prolonged celebrations after the Oulton win. Jim was away relatively quickly, guiding the Elan up towards the Borders, again the sheep-farmer who loved to go motor racing. Press play now to hear Mike Beckwith’s story of Normand Racing and Jim Clark.